Next to the Amsterdam Dance Event, this is surely the festival electronic music lovers in Amsterdam look out for every year. Last week we asked a few inlfuential writers & DJs and party organizers and promoters to suggest the best nights during the festival. Not every night is sold out yet, Gold Panda, Matthew Dear and Caribou rocking the Melkweg tonight for example. Paul Kalkbrenner is doing an extra surprise showcase on thursday too, congratulations to those with the €1 tickets! Go and figure out your nights of preference. Raw music, raw flesh, a raw relocation. Sounds like a party moving onwards and upwards from the club to a abandoned building just outside the city. Dresscodes: Pino, Dr. Bibber, stratenmaker by day, Dries Roelvink by night, titatovenaar, LOL + LOL = HIHI, voelgoed-dingetjes, Mart Smeetskabeltrui, Lauwe Pis, chasse-patate, drinkebroer, smirten, Mr. Nightlife – Iedereen wist ‘t, hobbykip, Johan Vlemmix, goededoelgevoel, tentsletje, Willie Wortel, zwavelhexafluoride, Oeps-gebied. Again, location for this event has changed, go figure out more info yourself. If you’re one of them Amsterdam ravers, I’d keep this night open, you probably know where to go for Next Monday’s Hangover. “Carnaval op zijn Mokums”. 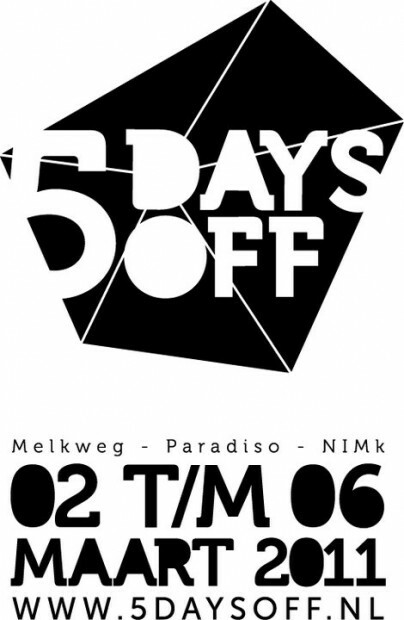 Whoa this must be one of the biggest recent representations of our town’s clubscene in Trouw this Sunday. Just have a look at the line-up beneath. DJ’s: San Proper (Rush Hour, Amsterdam) Patrice Bäumel (Trouw, Amsterdam), Nuno dos Santos (Trouw, Utrecht) Boris Werner (Late Night Society, Amsterdam), Lauhaus (Remote Area, Amsterdam), Bart Skils (Voltt, Amsterdam), Kabale und Liebe (Soweso, Amsterdam), Jan van Kampen (Dekmantel, Amsterdam), William Kouam Djoko (Late Night Society, Amsterdam), Cinnaman (Colors, Amsterdam), Esther Duijn (Studio Soulrock, Amsterdam) Carlos Valdes (Studio Soulrock, Amsterdam), Aron Friedman (Crackhouse, Amsterdam), Olaf (Trouw, Amsterdam), Eric de Man (Man Made Muzik, Utrecht), Sven Prinsen (90 Watts, Amsterdam), Tettero (Vrijbuiters, Amsterdam), Meester Moeilijk (3Hoog, Amsterdam), Tom Ruijg (Bangbang!, Amsterdam), Èfdé (Bangbang!, Amsterdam), Darko Esser (Wolfskuil, Nijmegen), Jorn Liefdeshuis (Squz, Amsterdam), Job Jobse (Trouw, Amsterdam). Yes, that’s how we spend carnaval above the rivers in the Netherlands. Dresscode: from looking like a farmer to putting on your monkey suit.